Value for money is how Text Royals services can be defined. They are flexible and respectful of my demands and are almost always ready to learn, excellent customer service. Ever since I have started to use their SEO powered content, the number of visit on my website have more than doubled. I suggest if you want content, you want Text Royal. I want to target specific customer and their content has been specific to my prospective customers. I would hire them any time of the day. When it started out my website I wasn’t expecting my business to feature so highly in the Google Search engine rankings. For a startup we have been able to prosper because of some inspirational SEO content copies which have helped our business climb up the ladder of success in limited time. It’s not every day that you come across a company that is able to give you a good deal and provide you with high quality work. At first I ordered a few blog posts but when I looked at the quality of the work, I continued to order and I am now a recurring customer because I am thrilled with their work and speed with which they deliver their work. As a person who is starting it out in the business world, I needed to associate myself with a content writing company that was aware of the industry paradigms of where I operate and could gear their content towards that. 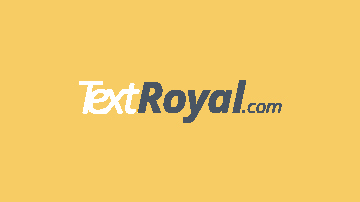 To my relief, not only does Text Royal do all that, it lets my business grow because it charges almost minimal rates. When I first heard the name of Text Royalty, I thought it was a content writing agency that would charge me high prices to provide good quality content. To my surprise, they proved me wrong. Their content was geared towards by audience which helped me establish a foothold for my business. The best part about it is its price. I never expected a firm with such an array of talent to be charging me such affordable rates. They are truly royalty. Efficient, on target. Wanted more explanation on a few things, overall thanks for your work!